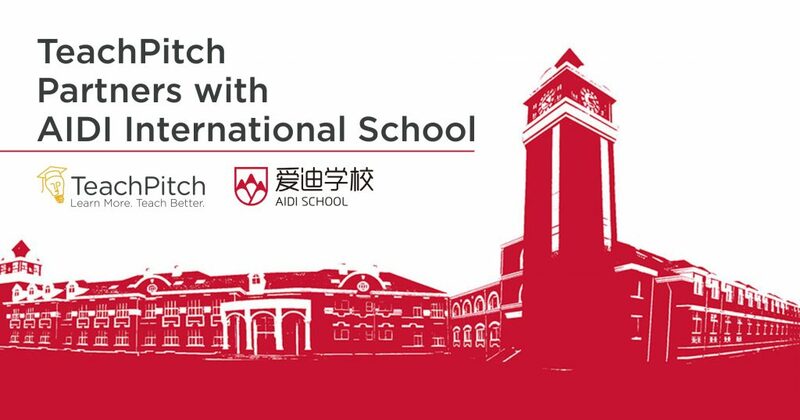 Team TeachPitch is very proud to announce its partnership with the AIDI International School in Beijing, China. The impressive campus at AIDI International School houses over 3000 students and 600 teachers, providing a full K-12 education system that is tailored for each individual student. TeachPitch’s tech intelligently cuts through search engine results and offers its users a teacher-curated library system, accessible through a community technology. The custom solution for AIDI School, available in both English as well as Mandarin, gives all its teachers access to a secure, privately accessible, cloud-based repository that allows them to work with relevant digital learning material. The material is sourced from the school teachers in addition to the premium learning resources selected, shared, rated and reviewed through the solution’s rapidly growing public library. Each teacher accesses the system through an individual account so he/she can personally select and work with the best online learning material in preparation for classes. The platforms growing functionalities on the level of storage, indexation and use of crucial ‘raw’ learning material (e.g. Word docs, PDFs, PPTs, pictures, audio and/or video) will help AIDI School in its further mission to provide all its students with a great education. “We are very honoured to be working with AIDI International School. It is a real privilege to have them as our first customer in mainland China and we are very much looking forward to grow our technology with the AIDI team by our side.” said Aldo de Pape, Founder and CEO of TeachPitch. “The TeachPitch system offers a modern, unique, and most importantly, efficient way for us to manage our teaching content. The team at TeachPitch have been very supportive and helpful and have done a great job developing a specialised dual language version of their software for our school. We look forward to continuing to work with TeachPitch in the future!” said Paul Keatley, Headmaster at the Beijing AIDI School. The team at TeachPitch is very happy to be working with AIDI School, please contact us at info@teachpitch.com should you have any further questions about this partnership.